We must travel back in time to the old town of Edinburgh and the years of the great potato famine in Ireland. It was at this time that Edward Stanton and his wife Peggy or Margaret Grady had moved from County Mayo with their son Andrew who was born in 1847 in County Mayo. Edinburgh at this time was not a particularly pleasant abode as the old town was bursting to full and sanitation was at its very worst. But it was a city starting to expand and there was work around for those willing to do almost anything. The Irish settled mostly in the Grassmarket and Cowgate area of the city and they worshiped in St. Patrick’s R.C. Church. Patrick STANTON was born in County Mayo in 1854. . His mother must have returned to Ireland perhaps to visit her family for whatever reason. She returned to Edinburgh the following year. Patrick married Sarah McKay and they had a large family. Annie Stanton was born in Edinburgh in 1855 after her mother returned to the Capital. She married Bernard Rynn when she was 17. At the time the family were living in North Gray’s Close off the High Street. MARIA was born 1866. She had a son John who was born in the year 1888. THE BRANNAN LINE. – from County Roscommon, Ireland. 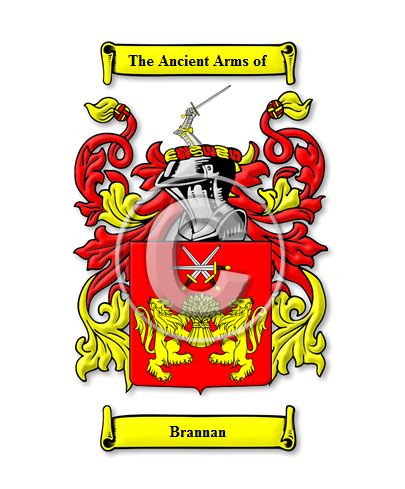 BRANNAN is certainly a name of Irish origin and can be found in most books of Irish surnames. Edward MacLysaght, in his definitive work entitled “The Surnames of Ireland”, mentions two distinct families: MacBrannan (Mac Branain) of north Connacht (Roscommon) and O’Brannan (O Branain) of Fermanagh. In both cases he says that the spelling “Brennan” is now often used. Under Brennan, however, McLysaght says that Brannan can also be a more recent anglicized form (instead of Brennan) in Fermanagh. This somewhat contradictory theory about anglicized forms (Brennan or Brannan depending on location) is confirmed by John Grenham in his book “Clans and Families of Ireland”. Brannan was the old spelling of Brennan used more in country areas and a study of gravestones seemed to confirm this. It must be said that there are very few people with the name Brannan today in Ireland but Brennan, on the other hand, remains a very common name. MacLysaght states that Brennans are descendants of four unrelated septs, besides being a spelling variant of Brannan in the north (the original Irish spelling of most “Brennans” was in fact “O Braonain” – with a different etymology to that of the “Brannans”). 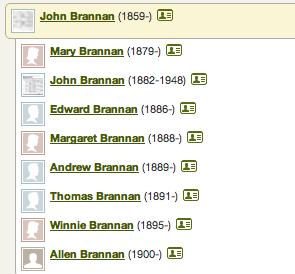 There are many Brannans today in the USA who are generally descendants of immigrants who left Ireland at a time when spellings still varied (and the anglicizing of names complicates things further!). Therefore, in my opinion, the ancestors of present-day Brannans could be from one of the O Braonain (Brennan) “septs” (including the kings of Ossory), as well as (more obviously, according to the historians) from the O/Mac Branain (Brannan) families of Roscommon, Fermanagh and Monaghan. Our branch of the Brannan family had moved to Edinburgh like so many of their countrymen at the time of the great famine. James and John Brannan, were two brothers who were born in County Roscommon, James in 1829 and John in 1831. Documented professions of both brothers were fish merchants/curers. There were at this time other Brannan folks residing in Edinburgh. In the year 1824 Alex. Brannan was born in Edinburgh. He married Sarah Murray in 1849, also in the Capital. Their children were all born in Edinburgh but although we do not have any proof of any relationship between these families Alex’s father may have been an uncle who emigrated some years earlier. History tells us that families would follow their relations to a new country. The elder of the Brannan brothers was called James. He was born in Roscommon and his wife Mary who was born in Leitrim in Ireland . All of their children were Scottish born in Edinburgh, They had a large family, Mary Ann born 1854, John born 1859, Ellen born 1861,James 1863, Winifred 1865 and Catherine 1872. The family lived in Leith Wynd in Edinburgh. John, the younger brother and our direct line was also born in county Rosscomon. He married into the Stanton clan and their eldest son John was born in 1859 in Edinburgh as were their other children James 1863, Winifred in 1867, Jane in 1869 and Helen in 1870. John was a fish curer and they would have worked locally. So who are this team then? What is the lifeblood that has characterised this green and white phenomenon since its inception? Let’s take a leisurely and enjoyable stroll the through the history book to find out a little more about its rich past. He was an Irish priest originally hailing from County Roscommon, in the environs of St. Patrick’s Church in the heart of Edinburgh’s ‘Little Ireland’ of the day. The church still remains in the historic Cowgate area, now a world heritage site. The club’s famous name, ‘Hibernian’ was chosen for its reason of being the Roman word for Ireland, Hibernia. The initial and very laudable aim of the early club was to keep young Irish Catholic immigrants on the ‘straight and narrow’. To play for the Hibernians in those days entailed membership of the Catholic Young Men’s Society and an adherence to an abstemious lifestyle and regular attendance at Mass.Perhaps one of Hibernian FC’s most admired sides was the team of all talents of the early 1970s’ dubbed ‘Turnbull’s Tornadoes’ after Eddie Turnbull who returned to Easter Road as manager after a successful period in charge at Aberdeen. The team, whilst ultimately under-achieving and being broken up prematurely, played a hugely exciting brand of football and boasted two genuine world-class talents in John Brownlie, an early overlapping full-back of the day and the great Pat Stanton. Stanton – still a much loved and revered figure amongst the Easter Road faithful traces his Hibernian roots all the way back to Hibernian’s origins being a descendant of the important figure of Michael Whelahan, one of Hibs’ first on-field greats and a seminal figure in the formation of the club. 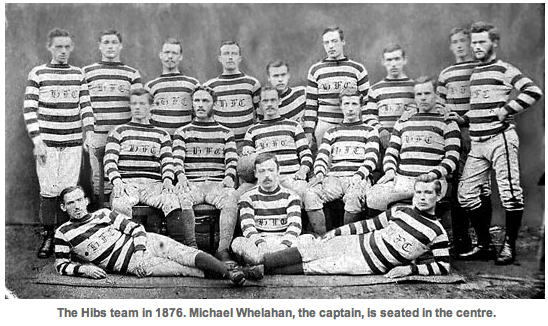 The first Hibs photo. Michael Whelahan is in the centre. His sister Maria Whelahan Stanton was involved in all of these events and we know from word of mouth handed down through the generations that she washed the team strips at this time. Andrew Stanton and perhaps John Brannan is also in this photograph. John Brannan, Junior, was the direct ancestor of our Laura. whose clan who had also settled in Edinburgh from Ireland having at first settled in the Glasgow area. Peter Clarey, her dad, married Mary Mallon in Edinburgh on September 3rd 1869 . Peter had a trade and worked as a cabinetmaker. For a while they moved to Glasgow where Lilias was born on 1883. There were more children of course. Mary Clarey was an older sister and she married Charles Grant and they settled in the Canongate. After their marriage the Brannan children soon came. 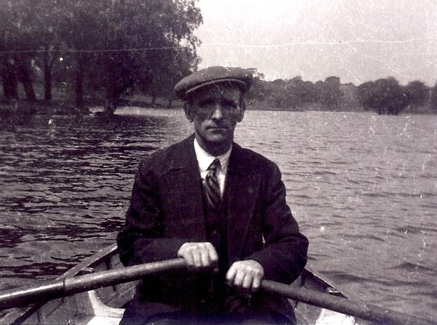 John was the first to arrive in 1905. Then Sarah Jane in 1906. Peter was next in 1908. Then came Andrew in 1909. Lilias was born in 1914. John Brannan enlisted in the Army on 26th Sept 1914 and was posted to ASC Remount Coy. ASC became RASC much later. He was posted to France 2 Oct 1914 and remained there until 31 August 1916. He was discharged 20 Dec 1916 as “no longer physically fit for war service”. This was caused by several accidents with horses – kicked, rolled on and fell off. The In France the Remount Company was based in Rouen or Le Havre so well behind the lines. This information has been forwarded to us by John’s grandson [also John Brannan] On his return to Scotland and having been pensioned off from the Army, he worked as a Horse Trainer and he also was a Bookie for a time. Andrew Brannan married Margaret Scott May 1932 at Gretna. They had 2 children Stanley and Edward. Margaret unfortunately died prematurely of T.B. in 1942. The following year he remarried to a lady called Helen Naomi Willway in Bristol Sept 1943. Andrew worked in munitions there. They had 2 children Anthony and Linda. Andrew boxed whilst in the Army during the Second world War. It is recorded that the Brannan family were actively involved in the Boxing circle and were quite well known at that time in their chosen profession. Lilias emigrated to Ontario in Canada. Her parents John and Lilias visited Canada after the Second World War during the years 1947-48. Peter Brannan – wife’s name Isabella (Bella). 2 children, Sylvia and Sidney. Sidney went to work in London on a newspaper (I think Morning Star or Evening Standard). He changed his name to Brennan for some reason. Peter was very generous and caring to a fault. He worked in hotels as a porter. 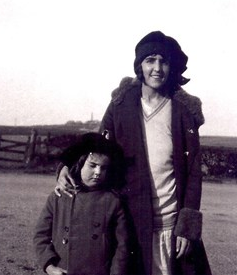 My grandmother Sarah left Scotland at age 21 to come to America. She worked as a Furniture Restorer in St. Louis MO and as a Nanny in Los Angeles California. She must have travelled around a bit during the next ten years until she met my grandfather, Thomas Watkins, who was from Pwlldu, Wales. He had left his country in 1925 when he was 19 years old and headed for St. John in New Brunswick. Saraah Jane and Lilias Brannan. These two sisters emigrated to Canada and made their lives there. 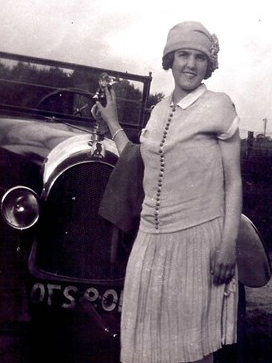 Sarah Jane was the Second Cousin x once removed of Denis Madigan Stanton. 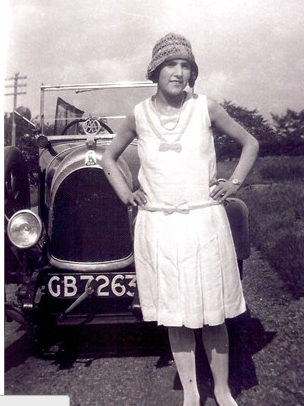 This photograph was taken in the 1920s and doesn't she look just the part. My father was born in Edinburgh and moved to Canada when he was seven. He grew up in Vancouver and White Rock, British Columbia. He then met my mother Anne, who was born in Alberta in Canada, but grew up in Vancoeuver. Her mother was from Norway and her father was from Russia. They were married and moved to South Surrey, British columbia and had four children, Laura, thomas, Julie and Michael-Garry. Michael Garry became a teacher and taught for about 45 years. He taught High School Elementary School and at a school for the Intellectually Disabled. Garry was very interested in politics from an early age. He served on the surrey School Board for manyyears before serving for about 20 years as a Surrey city councillor. THOMAS WATKINS – Worked as a Heavy Duty Mechanic. He has no children. Thomas died in 2008. JULIE LaRIVIERE [David] – Works as a Teacher in an Elementary School and has two children, Lauren and Erik. MICHAEL WATKINS – Works as a teacher in an elementary School and has two children, Sylvia and Ella. Gary ‘s brother JOE WATKINS. Joe married Donna and had three children, Dorothy, Michael and Jennifer. He works various jobs but mostly as an Antiques dealer specialising in Military Antiques. Donna worked as a Nurse. Dorothy works as a Principal at an Elementary School in Vancouver. I am unsure of what Michael and Jennifer are working at at the moment. John (known as Jocky) died of either a heart attack or epilepsy. He was working as a night watchman when he died either late 40’s or early 50’s. I know of 1 child, Patricia Kathleen now probably in her late 60’s. I presume there were others but I do not know. Sarah Jane I presume you have been in touch with her sons, Gary and Joe. She was known to the family as Sissy. I only met her once when she came to visit her husbands family in the 70’s. Peter – wife’s name Isabella (Bella). 2 children, Sylvia and Sidney. Sidney went to work in London on a newspaper (I think Morning Star or Evening Standard). He changed his name to Brennan for some reason. Peter was very like my dad, generous and caring to a fault. He worked in hotels as a porter. Andrew – wife’s name Naomi. 4 children, Anthony, Stanley (both in merchant navy), Edward (known as young Eddie) I think he worked on the oil rigs but not sure, then Linda. Lily – husband’s name Alex Wilson, no children. Alex worked for Coca Cola whilst in Canada. When he retired they spent summers in Toronto and winters in Florida. Edward Beatty, born 16 January 1919, died 9 November 1990. First worked as a pageboy at Gleneagles, then into private service where he was a footman. 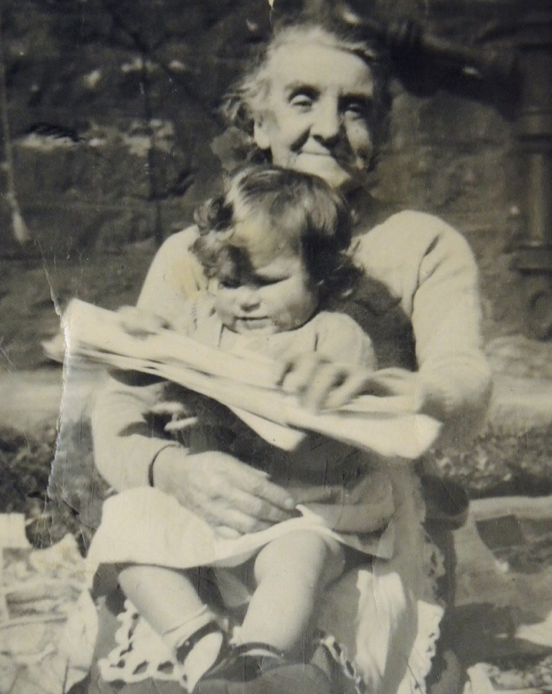 He met my mother (Jane Brunton Black, born 22 May 1918, Chirnside, Berwickshire, died 23 September 1997) when he worked for the Trotter family at their town house Mortonhall House in Edinburgh. My mother worked for the same family at their country house Charterhall in Berwickshire. After many years of private service my father worked in the Caledonian Hotel in Edinburgh, they bought a guest house, after a few years my mother became caretaker of YWCA then as housekeepers in Bute House (secretary of state for Scotland, now first minister’s, residence) for about 20 years. They were married for 52 years. Edward Brunton Brannan (deceased) born 2 June 1944, married Jennifer Wilson (deceased). 1 child Ian Brannan. 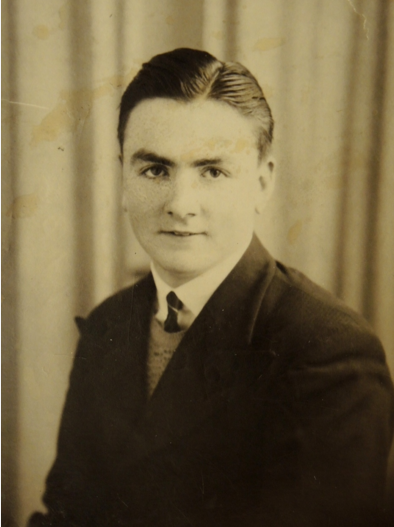 Edward served for many years in RAF, serving in Germany then moved back to Buckinghamshire. When he left RAF he worked for Inland Revenue. Kathleen Beatty Brannan, Born 17 October 1945. Married Ronnie McPherson, 1 child Gordon. Emigrated to Canada in 1967. Divorced in the 70’s. Remarried Wayne Bacon. Gordon still lives in Canada. Kathleen and Wayne moved back to Britain mid 2000’s. Then there is me. Janette Hewitt Stanton Brannan, born 1 March 1954. Only married in 2007 to Anthony McCubbin. No children. 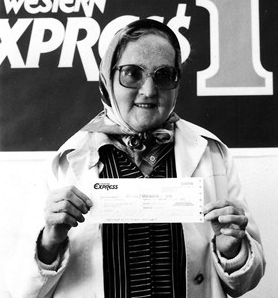 I emigrated to Canada in 1974 but returned in 1977. James – married Annie, 3 children, Ann (from Annie’s previous marriage), Jane and Katy. All living in London, I think. 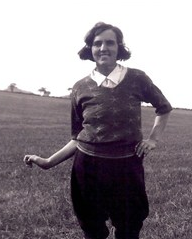 Margaret (known as Meg) died about August 1990 – husband’s name either Peter or John Laurie. 2 children, Diane and Irene. Meg and her family also went to Canada but they returned sometime in the late 60’s. 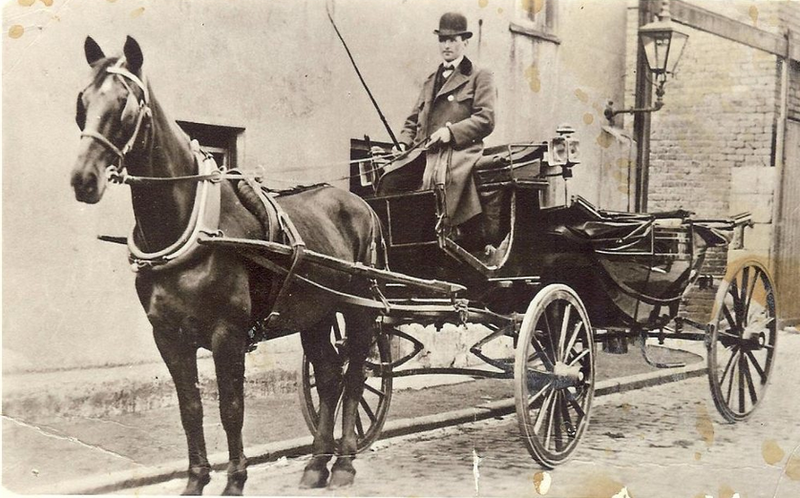 I noticed the picture of my grandad with his horse drawn taxi. The photo was taken in Eyre Place, Edinburgh. After Lily was born in 1914 my father was born in 1919 and another uncle and aunt were born after that. I can give you some info on all of this line if you would like to have it. I would love to find out more information, please email me. I have had a hard time finding out about my father’s side of the family. My grandparents and my father have all passed so there is not many people I can go to for info. Luckily I found Helen as a connection and now possibly you. Hi, just seen all this info – has added much to what I already know. I am Janette’s brother and have been researching our family for some years. I may have some details on Edward and Margaret’s family which will fill some holes for you. eg Edward and John were two of triplets, third was a daughter Maria. Tragically all died within two days. Hello Elizabeth. I remember my uncle James though he left to go down to London many years ago, so I have no knowledge of what he did or of his family. Would be nice to learn something of his life in “the smoke”. I would love to exchange some emails with you about our shared family. If you see this can you email me at lwatkins@live.ca or laura.watkins@fraserhealth.ca? 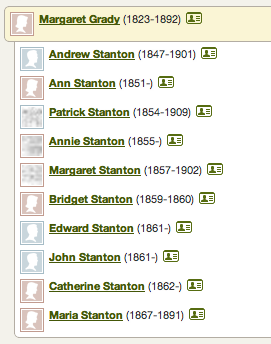 I have found your fantastic family history website this morning after searching for Edward Stanton Brannan’s service history. This morning’s Remembrance was the catalyst for my search. Edward is my paternal great grandfather, which I had found out a few years ago from some searching. Thanks also to Laura for the details above: I had found some snippets of information for Edward Stanton and Peggy Grady (and James Brannan and Mary McLaughlin) from Ireland, but I now know significantly more. My Grandad (James Thomson Brannan (1913-1999)), my Dad (Richard James), my sister and I have lived in Edinburgh for most of our lives. Jamie, just seen your note to Helen. Your great grandad Edward Stanton Brannan is my great uncle. His older brother John was my Grandad. I have some military records but nothing for Edward Stanton Brannan – would be interested in knowing if you have found anything. I can tell you that John Brannan – my grandad – and his younger brother Thomas were both involved in WW1. Thomas died 3/7/1915 near Bethune in France and John was released at end of 1916 as “no longer fit for military service. He had been injured several times by horses – he was a “nagsman” in the Army Service Corps.